The president of Chile, Sebastián Piñera, announced the cooperation with Planet Youth on the 1st of April 2019 in a formal announcement on TV. The president spoke about the grave situation that children and adolescents in Chile are at the forefront of substance use amongst the South-American nations and that this situation has to change. The project will be called: „El Plan Elige Vivir sin Drogas“ and will be run by the Planet Youth methodology. The Chilean project will be run from the SENDA office, which is the Service for Prevention and Rehabilitation on Drugs and Alcohol Consumption in cooperation with Planet Youth experts. The goal of the project is to reduce the rates of substance use and abuse among adolescents in all participating municipalities. And to build a permanent capacity at all levels that support the implementation of the Icelandic Prevention Approach. The project will be carried out in 44 municipalities in Chile, to begin with, and the first step will be to implement surveys in schools to get to know the baseline of substance use and the general well-being of adolescents in Chile. Then following up with projects aimed at changing in the social environment of children and adolescents, where needed, based on the outcome. Such changes will be made to affect the risk and protective factors which are strong predictors of the likelihood of substance use amongst children and adolescents. The Planet Youth method was initiated 20 years ago in Iceland and has drastically changed the status of adolescent substance use in Iceland, with Icelandic teenagers going from the highest to the lowest in substance use in Europe. As of 2019 ICSRA has partnered with a total of over 100 communities in now 23 countries worldwide. From the signing of the contract between ICSRA and SENDA which took place in the Ministry of foreign affairs in Iceland. 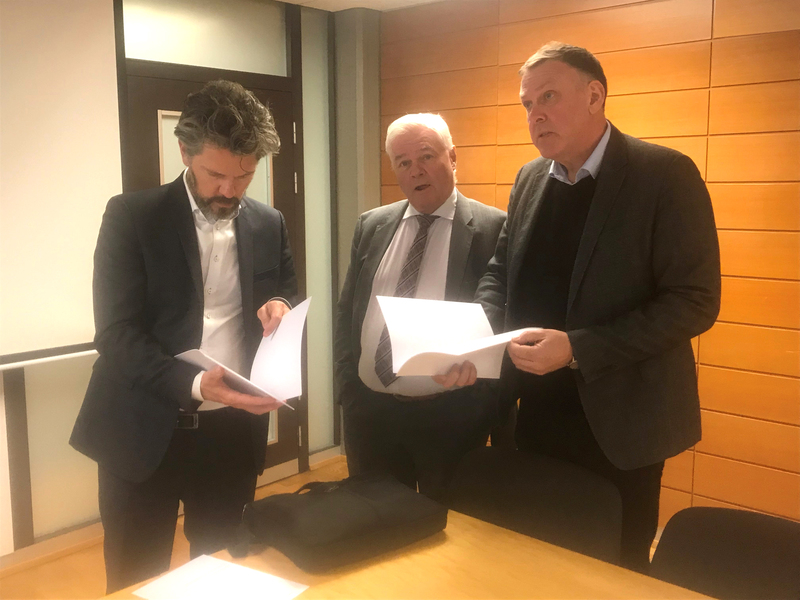 From left: Dagur B. Eggertsson, mayor of Reykjavik, Thordur Aegir Oskarsson, ambassador, and Jon Sigfusson, Operational Director of ICSRA.